You live in a fast World….Money transactions take place in an instant. You can withdraw money from an ATM, 24*7, using your debit card. You can make purchases online, using your debit card. Then…you have credit cards, where you buy now and pay later. Use of debit and credit cards, makes you vulnerable to fraud. Let’s take a look at some of the card frauds around. Card skimming is a type of card fraud, where fraudsters use a small electronic device called a skimmer, to steal your card information. This generally happens when your card is inserted into electronic devices like POS (Point of Sale). Your card gets run through a skimmer and the device captures and stores key information from the magnetic strip of your credit/debit card. This data is then copied to the magnetic strip of a blank card. The identity thief then uses this information to withdraw money from your bank account, or even make purchases using your card details. This is card skimming. Make sure your card is swiped in your presence. Do not insert your card in an ATM machine, whose card insertion slot looks odd. Use chip based cards, as it has very good security features. Phishing is a form of fraud, in which fraudulent emails are sent to you, which appear to be from the bank or a reputed financial institution. You receive a message that appears to have been sent by a known contact or your bank. The links in this message direct you to bogus websites, which convince you to part with confidential information. If you receive any such emails, contact your bank or card issuer immediately. You get duped to download malicious software, which is used by hackers to record key strokes used by you, when you type card details. Now fraudsters can use these details to make online transactions, using your card. Have a reliable anti-virus program on your smartphone and computer. This keeps out spyware and malware. Make your online transactions at only those addresses starting with ‘https’ instead of ‘http’. 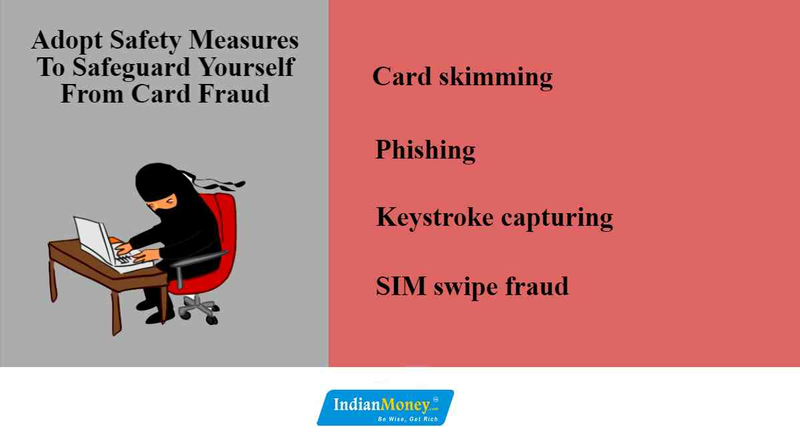 What is SIM swipe fraud? A fraudster would contact your mobile operator, showing your identity proof, which is a fake. He then applies for a duplicate SIM card. The mobile operator would deactivate your SIM card. The fraudster generates an OTP on his own phone, using the duplicate SIM and then transacts online. 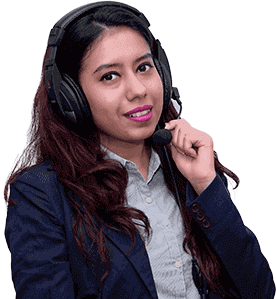 Contact your mobile service provider as soon as possible, in case you receive a mail or message, stating a request for a duplicate SIM card or if your phone goes out of service, suddenly. The safety of your debit and credit cards are in your own hands. It is your responsibility to take care of your cards and safeguard yourself from card fraud. Be Wise, Get Rich.